Hair trick for Autumn/Winter 2016 season. 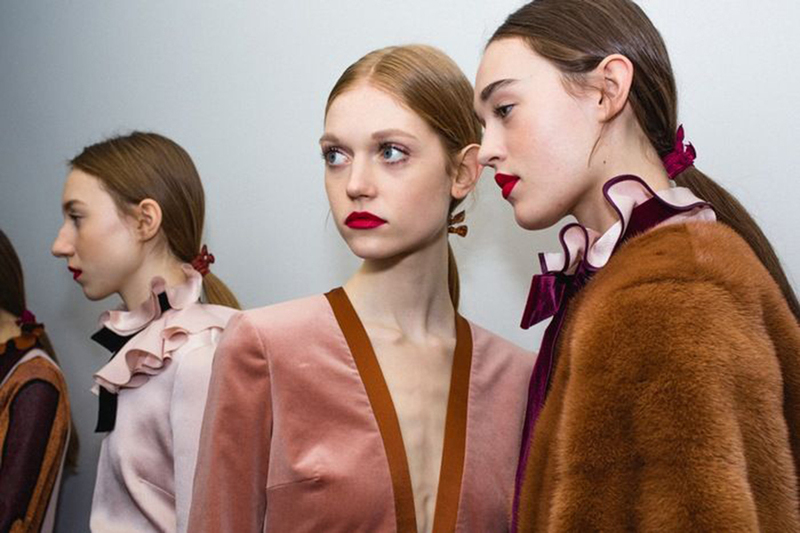 The kind of 'tie hair' trick was primarily spotted in Roksanda seasonal runway show. And, well, we just can't miss it. The tie hair trick is much more simple than it might sound. To achieve such a look you will only need a couple of minutes and one single element - elastic ribbon hair tie. It's a special kind of hair tie that looks exactly like a ribbon and when it's implemented in, let's say, a low ponytail it makes an impression as if you really spent hours tying a ribbon yourself. Oh and if you feel like implementing a real ribbon within your hairdo - you are more than free to do so. But it might require much more time and patience.